Stoke-on-Trent council are 'consulting' on fining people on the streets £100 using Public Space Protection Orders (PSPOs) - for being homeless, proposing 'out of sight, out of mind' policies, disingenuously claiming these to be about 'tackling anti-social behavior, when they are no such thing. The sick absurdity of criminalising people who are in crisis and adding to it further by imposing fines they can't pay, is seemingly lost on Stoke-on-Trent council, which is proposing the punitive use of PSPOs in the city centre, Hanley park, Festival park and Octagon retail park. It is to be hoped that the Labour council takes notice of Ruth Smeeth, the Labour MP for Stoke-on-Trent North and Kidsgrove: "This is a cruel and callous policy to inflict on our most vulnerable in the lead-up to Christmas. We do have a growing problem with homelessness here in Stoke-on-Trent, but punishing people for their misfortune is no way to fix it. Punishing the homeless simply for being homeless is appalling. Locking these people up or saddling them with debt they can&apos;t pay will only make the problem worse." The GMB union is also unhappy with this misguided proposal which worsens a social problem and blames those dealing with it without doing anything at all to solve it or help them. The punitive use of PSPOs is also not "in response to requests from local business people, shoppers and visitors", but to try to airbrush homelessness out of the city despite it being a worsening problem. However, there is significant push back and 9 out of 10 anti-homelessness measures have had to be scrapped as a result of opposition and protest. This petition aims to help make it 10 out of 11: sign and share. If enough people sign, we can show the council that the public won't stand for the criminalisation of poverty. 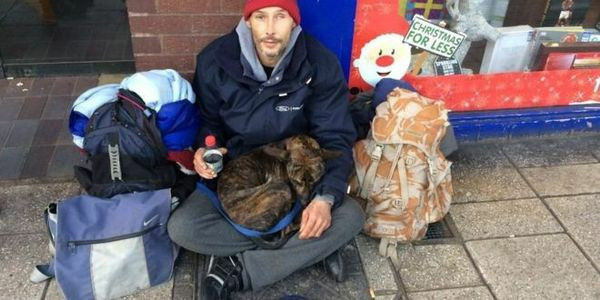 Stuart Richards, senior organiser at the GMB, has also said, "We&apos;re not going to solve the issues or causes around this by criminalising or punishing those who end up sleeping on our streets. GMB is asking the people of Stoke to take part in the council&apos;s consultation to help to force a change in this proposal." Gareth Snell, Labour MP for Stoke-on-Trent Central, has also spoken out against the council's proposed use of PSPOs "Stoke-on-Trent&apos;s approach to the homeless is seriously flawed. Fining those who have nowhere to go is unacceptable. But to compound the problem, they now plan to cut support for homelessness services in Stoke-on-Trent by £1m as a result of budget cuts. They are failing the very people we should be helping most." The council's proposals are just the latest example of social cleansing attempted at every level in the UK - but one of the crudest without doubt - and those right at the bottom i.e. homeless on the streets have been hardest hit: from hostile architecture like anti-homelessness spikes in doorways, to sloped benches to stop lying down on them, to 'fining' those destitute on the streets £100 for being homeless, if they can't pay (which they can't, what with being destitute), and this can then be increased to up to £1,000 in court.